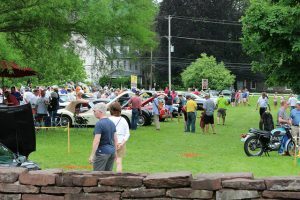 The annual JCNA sanctioned Delaware Valley Jaguar Club Concours d”Elegance and the Cars and Motorcycles of England is returning to the Historic Hope Lodge in Fort Washington, PA. on Saturday June 1, 2019. While at the car show, enjoy the gardens, museum, live music, food and a craft beer tasting at the Ales and Petals event hosted by The Friends of Hope Lodge. Approximately 200 vehicles will be displayed including about 50 Jaguars and 150 cars of other British marques. Pre-registration required for Champion, Driven and Special Divisions. Entries limited to Jaguar cars. Other British marques may be displayed in CMoE; information and registration at Delaware Valley Triumphs. The sanctioned Jaguar Concours will be conducted in accordance with applicable JCNA Concours rules. All judged cars must be driven thru a Vehicle Operation Checkpoint. Register and pay online using the form below. Last day to register online is 5/27/2019. Registration fees for judged cars: 1st car $60, 2nd car $30, 3rd and each subsequent car $20. Display cars are $35 per car (not judged). Use “Display” in the dropdown box for class. Non-JCNA members may enter the Concours and must submit a Special-Event-Reg-Form and $5.00 fee to secure JCNA insurance coverage. Mail completed form along with your Concours entry to the registrar. 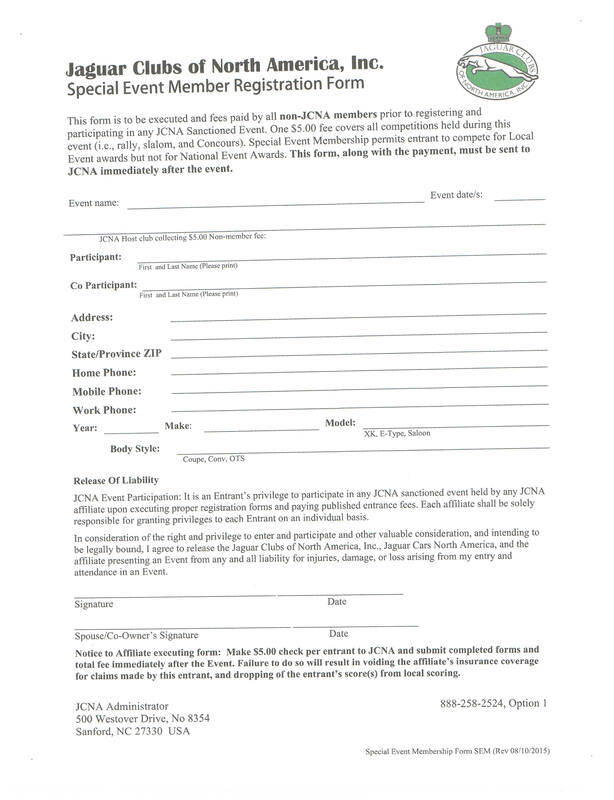 JCNA entry classes with complete descriptions are listed at the end of the form, below. See JCNA Concours rules for detailed Entry Eligibility, Awards, Division and Class Requirements. Field Opens for Show Car registration at 8:00 a.m. – Judging begins at 10:00 a.m. Car awards presentation 2:30 p.m. – Event closes 4:00 p.m. Ample parking on site for trucks and car trailers. Rain or shine – no rain date, no refunds. If registering by mail or if you are entering four or more cars, download the PDF Concours Registration Form and mail your completed registration with your check payment. Mail registrations received after May 25th will be in Display Division. Official Trophies for Champion, Driven, Preservation & Special Divisions, Best of Show, Longest Distance. Questions, issues or problems, contact registrar@delvaljaguarclub.com or Jim Sjoreen 610-989-3860. By submitting the DVJC Concours Online Registration Form, below, I hereby acknowledge and certify that I own the car(s) described on it. In consideration of the right and privilege to enter and participate in this event I agree to release and hold harmless the Concours sponsors, Concours committee, the DVJC and the Historic Hope Lodge and its sponsors, from any and all liabilities or loss arising from my entry, attendance, or participation in these activities. PLEASE NOTE: Registered DVJC Members - if you have NOT logged in, please LOG IN HERE before registering for any event. This will prepopulate the registration form and keep the member lists and event records in order. Thank you! Convertible, XJR-S Le Mans, XJR-S Jaguar Sport. C13/JS: XJS (1991 - 1996 Facelift) Coupe, Convertible, XJR-S Jaguar Sport. according to their years, engines, and body styles. D9/XJS: XJS (1991 - 1996 Facelift) Coupe, Convertible, XJR-S Jaguar Sport.